The town of Dole in France was twinned with the town of Carlow in Ireland in 1992. Dole which is the birthplace of scientist Louis Pasteur lies in the Dijon Region of eastern France. The twinning of the two towns was arranged under the European Town Twinning project. The European Parliament established the Town Twinning scheme in 1989. The aim of the project is to foster new links between local authorities and local communities in Europe. Louis Pasteur was a chemist and microbiologist who came up with a process that destroyed the bacteria which caused the souring of wine, beer and milk. The process, which is known as pasteurisation involves heating liquid food and then allowing it to cool. Pasteur was also responsible for the creation of vaccines for anthrax, rabies, cholera, TB and smallpox. Often referred to as the ‘father of microbiology’ the discoveries made by Pasteur are responsible for saving countless lives. Having attended secondary school in Besançon about 50km from Dole, Louis Pasteur graduated with a baccalauréat (BA) degree from the Collège Royal de Besançon in 1840. He was awarded a doctorate from the École Normale in Paris in 1847. 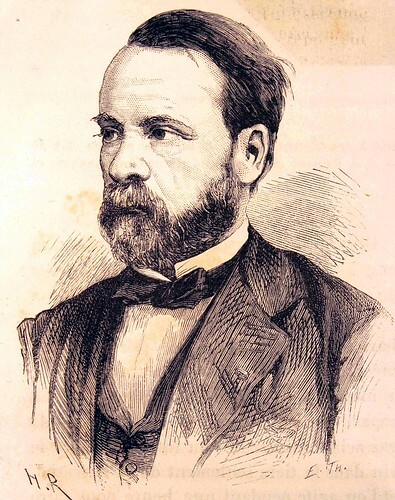 Having spent some time doing research and teaching at Dijon Lycée, Pasteur was appointed Professor of Chemistry at the University of Strasbourg in 1848. He was appointed professor of Physics and Chemistry at École nationale supérieure des Beaux-Arts in 1862 and established the Pasteur Institute in Paris in 1887. Louis Pasteur, a chemist and microbiologist who came up with a process that destroyed the bacteria which caused the souring of wine, beer and milk (pasteurisation), died aged 72 in the year 1895 On This Day.